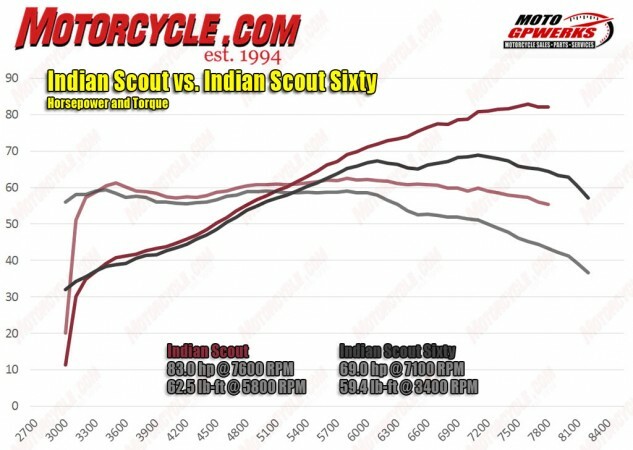 Indian Scout vs Indian Scout Sixty on the Dyno! How much difference is there really...? Indian claimed 100 crankshaft horsepower for the big Scout; the dyno said 83 at the rear wheel. For the Sixty, Indian said 78 and the dyno reads 69. With cruisers, though, it’s all about the torque. In November I wrote, “the Sixty feels pretty spunky when you give it a big handful. 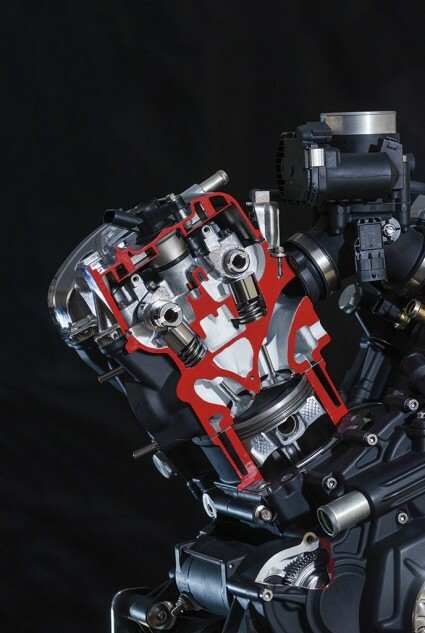 In fact, it doesn’t seem that much slower than the big Scout…” That’s because it only makes a scant 3.1 lb-ft of torque less than the 1133cc engine at low rpm, and runs that close to the bigger engine all the way to almost 6000 rpm. After 6000, the big motor takes off and makes 14 hp more before its 7800-rpm redline. Hmmm, you’d really expect the bigger engine to make quite a bit more torque via its extra 134cc, but it barely does. Past 6000 rpm, the small engine really tails off, which is another thing you wouldn’t expect given its higher compression and higher redline, and given that both engines inhale through the same 60mm throttle body and the same heads. The Sixty also appears to use the same diameter exhaust headers as the 69-incher. Can you tell which Scout is which? Given the nearly identical curves below 6000 rpm, it looks like they even use the same camshafts, which leads us to believe the only difference must be in the ECU tuning: It looks like Indian just dialled back the Sixty’s power output from 6000 revs to its 8200-rpm redline, via giving it less fuel, less ignition advance or a combination of those. Which means it should be pretty easy to modify via a simple reflash. Which, if true, means $8,999 is a better bargain than we thought. 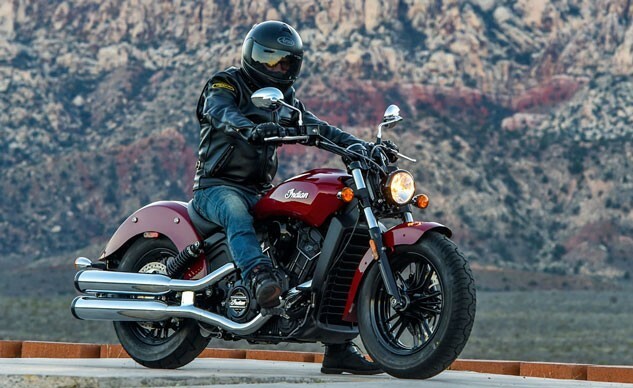 Stay tuned for a comparison of the Scout Sixty vs. Harley-Davidson’s Iron 883 soon.